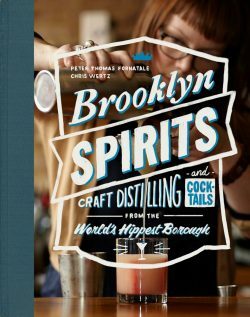 In the popular tradition of farm-to-table cookbooks, Brooklyn Spirits: Craft Distilling and Cocktails from the World’s Hippest Borough, is the first distillery-to-glass cocktail book. Over the past two decades, Brooklyn has become the epicenter of a Slow Food-inspired food and drink revolution. Brooklyn distillers, restaurateurs, bartenders, and cocktail aficionados are changing the way we drink by bringing back old techniques and recipes, and creating new ones that focus on small-batch distilling and fresh, local ingredients. In 2002, craft distilling was made legal in New York State for the first time since Prohibition. Many Brooklyn-based producers such as Greenhook Ginsmiths, Cacao Prieto, Industry City Distilling, Brueckelen, and others have taken advantage of this. Organized into chapters focused on these distilleries, each chapter will take an in-depth look at the distillery’s story and the spirits they offer, and will present half-a-dozen cocktail recipes. Within these chapters, there will be sub-sections on several varying topics: a look at the bars and restaurants serving the Brooklyn-produced spirits; highlights on the work of local mixologists; and subsections on the history of distilling in Brooklyn. * Approximately 70 drink recipes like the Deathbed Manhattan, One Mint Julep, and the Kickstarter (a mix of updated classics and original cocktails contributed by Brooklyn distillers and bartenders, and the authors). * 15 recipes for syrups, bitters, and other ingredients to improve your cocktails. 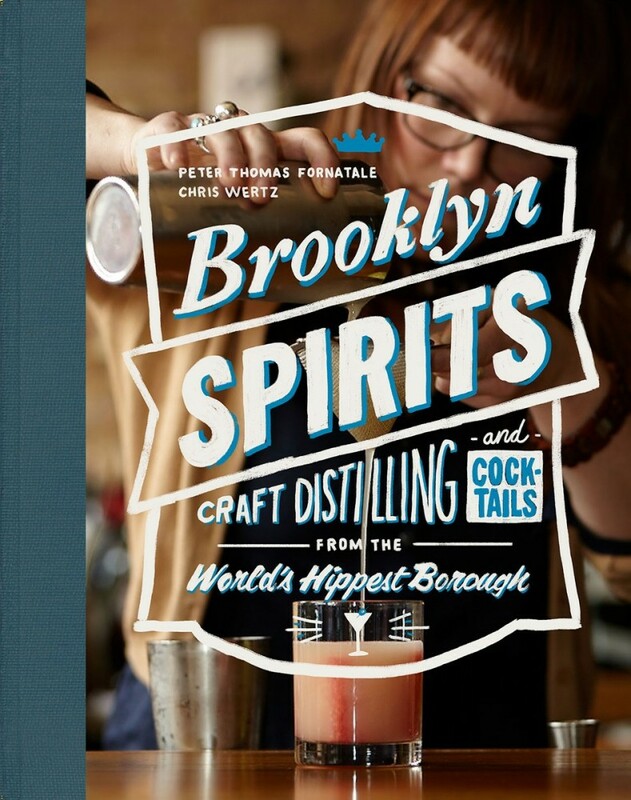 Brooklyn Spirits presents an inspiring mix of recipes, profiles, and history, encouraging readers to not only make their own cocktails, but to get involved on a do-it-yourself level, and, in the true Brooklyn spirit, invent cocktails of their own. Chris Wertz has been involved in the booze business most of his life, and for the last 16 years, he has been a part of the New York restaurant industry, working as a bartender in Williamsburg and a General Manager in DUMBO. Before coming to New York City, Chris traveled through Europe sampling regional drinks for the sake of science—from homemade grappa in the hills of Tokaj, Hungary; to Becherovka at the source in Karlovy Vary, Czech Republic; and pastis in Provence, France. In 2005, he opened his first bar, Professor Thom’s, named in homage of famed 19th-century NYC cocktail creator Professor Jerry Thomas. Bestselling author Peter Thomas Fornatale has spent a good part of the last two decades drinking in Brooklyn. He’s also been a publishing professional in that time frame at Simon and Schuster and Random House. He took cocktail classes from legendary New York bartender (and author) Dale DeGroff and spent a summer supporting a horseracing habit by bartending at the acclaimed Chez Sophie in Saratoga Springs. Cocktails are literally in his blood: his grandfather, John T. Flynn, was a brand manager at Seagram’s for many decades. He is also a site coordinator at The Park Slope CSA, putting him in close touch with the best local ingredients (and the people who buy them).